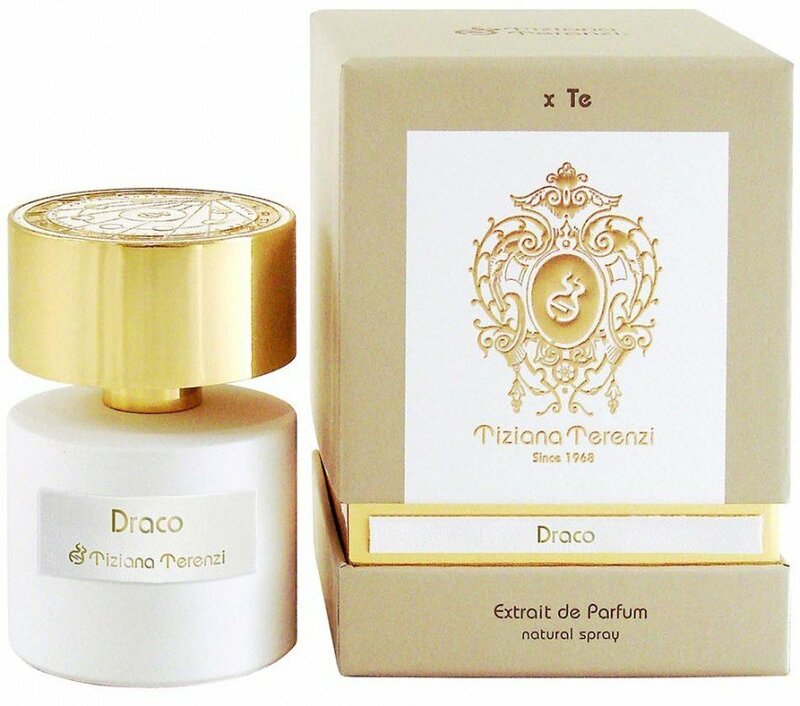 Draco is a perfume by Tiziana Terenzi for women and men and was released in 2015. The scent is fruity-floral. It is being marketed by Cereria Terenzi Evelino. Draco is a very beautiful fragrance that convinced me positively. It sounds expensive from start to finish. After I didn't read very positive comments on some forums, I got afraid of "overdose" and sprayed only once. And I say: durability and Sillage are very good! 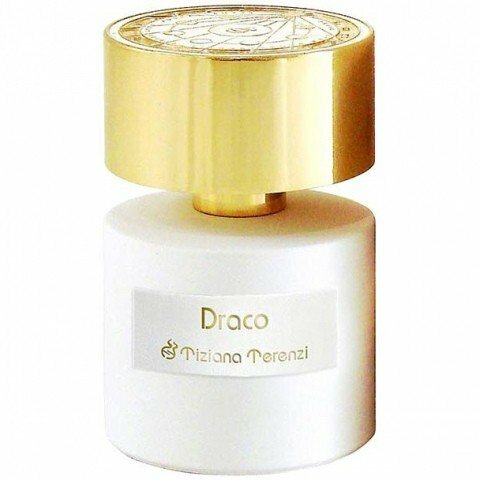 While I was enjoying the fragrance, the thought didn't leave me alone that I had known Draco for a long time - but I really like him this time! After some time I suddenly realized: Draco reminds me of Eden von Cacharel, only I couldn't wear Eden at all, I even found him stinking. Draco won me with his peach and pear, both sound very feminine. The fragrance is soft, slightly sweetish, as if ripe, juicy pears and peaches had mixed with magnolia and jasmine blossoms and this whole composition was sprinkled with icing sugar. Patchouli is almost not to be smelled, which I personally find very good. Draco is not gourmandig for me, but sweet and fruity. Definitely on my wish list! The Hesperides are nymphs who guard a garden where a miracle tree with golden apples is standing. The tree was a wedding gift from Gaia to Hera and Zeus. Its fruits give the gods eternal youth. Ladon is a multi-headed dragon that supports the Hesperides in guarding the miracle tree at the behest of Hera. Heracles should procure these apples as the 11th of his 12 tasks. As is common in legends there are several versions, but in each he managed to defeat or trick Ladon. For example, Heracles supposedly asked the Titan Atlas for help. As the father of the Hesperides, he allegedly had no problems in obtaining the apples. In a roundabout way the fruits ended up back in their rightful place and Ladon was set at the sky in gratitude for his services. Draco is the scent of the Luna series which has not made it easy for me to put it in words because it is very volatile and quiet on my skin. There is the smell of freshly grated citrus peel, which converts into very tame flower tones. A fresh morning breeze in the garden of the senses while the nymphs are singing and dancing around the flowers. Towards the end with sweet notes of seductive fruits which probably anesthetized the dragon so much that he has hardly resisted. I like the smell of it as such, but it may be that it did not have the opportunity to fully develop on my skin. My parallel test with the paper allows me only a longer perception, but not finding a significant change in the odor. Draco just stays quiet, tame and fleeting for me. I think it's sort of sad here because I could have easily liked it even better than Andromeda. But maybe others have the opportunity to fight a prolonged battle with the dragon before it surrenders. Write the first Review for Draco!